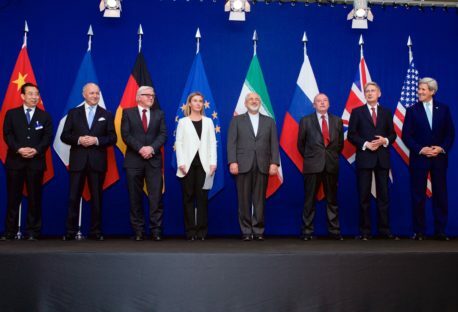 Signed by over 70 European political, diplomatic and military leadership figures, this intervention calls the July 14th Iranian nuclear agreement a sound framework for ending the crisis and urges specific actions to implement the deal by the U.S. Congress, EU countries and Iran. 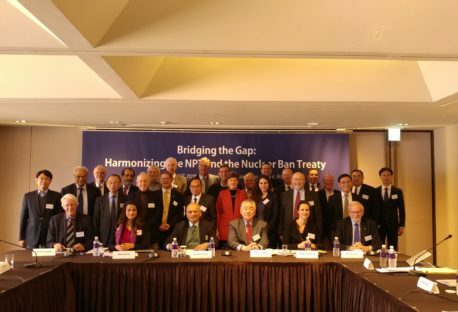 Key signatories include Des Browne (Chair of the ELN, Vice Chairman of the Nuclear Threat Initiative, former UK Defence Secretary), George Robertson (former Secretary General of NATO and former UK Defence Secretary), Malcolm Rifkind (former UK Foreign Secretary), Michel Rocard (former French Prime Minister), Igor Yurgens (Chairman of the Management Board of the Institute for Contemporary Development, Russia), Vyacheslav Trubnikov (former Director of Russian Foreign Intelligence), Wolfgang Ischinger (Chairman of the Munich Security Conference), Volker Rühe (former German Defence Minister), Jaap de Hoop Scheffer (former NATO Secretary General), and Rolf Ekeus (former Director of the United Nations Special Commission on Iraq). Welcoming the 14th July agreement between the E3/EU+3 group and Iran on the Joint Comprehensive Plan of Action (JCPOA), we urge all the parties to implement it in good faith and call on all European states and the wider international community to support it. We believe that this agreement provides a sound framework for ending the crisis over the Iranian nuclear program and a foundation for re-integrating Iran into the international community. At the same time, the adoption of the document is just a first step in a process which must increase the level of the security of all countries in the Middle East, Europe and beyond. We would like to congratulate the negotiators from the E3/EU+3 and Iran for their perseverance and ability to strike the necessary compromises, and applaud the political leaders of all the countries involved. We want also to highlight the constructive role the European Union’s High Representatives Catherine Ashton and Federica Mogherini played during the negotiations. The agreement places long-term, verifiable constraints on the development of technologies and construction of facilities which could be used by Iran to produce weapons-grade materials. It caps the accumulation of nuclear material which could be used to produce a nuclear bomb and it simultaneously offers Iran an opportunity for its peaceful nuclear program to grow. The agreement includes a robust mechanism for monitoring the development of the Iranian nuclear program and verifying its peaceful nature by the IAEA, addressing both the question of supervision of the declared facilities and the possibility of nuclear ‘sneak-out’ using clandestine facilities. 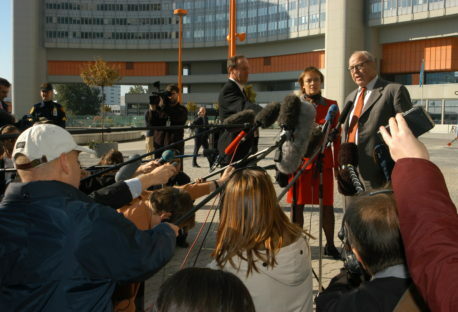 The agreement demonstrates that a crisis over a country’s non-compliance with the nuclear non-proliferation obligations can be resolved through negotiations rather than the use of force. If faithfully implemented, it will be a powerful argument against those who claim that only possession of nuclear weapons can guarantee any country’s ‘real’ security. The agreement will open the way for economic engagement with Iran, which should strengthen internally the position of the pragmatic proponents of peaceful co-existence and cooperation with outside partners. The agreement may open the way for wider cooperation on pressing regional and international security issues, including the fight against ISIS, ending the Syrian civil war, guaranteeing a stable future for Afghanistan, and the fight against narcotics production and smuggling. The agreement represents a high water mark of multilateral diplomacy and – as confirmed by a unanimous vote on the UN Security Council resolution – shows a high degree of cohesion in international community with regards to Iran and its expectation for Iran to comply with the agreed terms. If Tehran decides to renege on its commitments, it must face serious consequences and a resolute multilateral response. European countries and the EU should make this clear in their future dealings with Iran. The deal does not give Tehran a carte blanche for extending its influence in the region, threatening Israel or continuing its support for extremist organisations. On these issues, our interests will continue to be at odds, although we hope that the JCPOA opens the way to discuss these wider foreign and security policy questions with Iran. If we expect Iran to honour its commitment we must be ready to deliver on our part of the bargain. We therefore call on the U.S. Congress to assess thoroughly and objectively the overall benefits and risks connected with the deal. We trust that our legislative colleagues will bear in mind the multilateral nature of the agreement, the value of sustaining the coalition for its implementation, and support for the deal expressed by the vast majority of the United States’ most loyal allies. We encourage the Members of Congress to give the agreement a chance to prove its usefulness. The effects of the JCPOA in terms of limiting Iran’s nuclear capabilities and increasing the monitoring and verification of Iran’s nuclear program will become clear early on. We call on the EU countries to proceed with scaling down of the sanctions regime, both internally and at the UN level, as proscribed in the JCPOA. If we want this agreement to have a truly transformational effect, the EU should also swiftly move with a well-planned political and economic outreach to Iran. At the same time, we call on the EU to include the issue of the human rights situation in Iran as part of any intensified dialogue with Tehran. Finally, we call on the Iranian Supreme Leader and Majlis to support the implementation of the agreement, which respects Iranian sensitivities and is consistent with its national interests, including security and economic development of the country.